The preferred route for the I-69 Ohio River Crossing between Indiana and Kentucky was released. There are two tolling options to fund the $1.5 billion project, but a funding gap will occur with either, according to the project's lead environmental engineer, Dan Prevost. 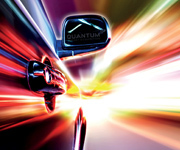 Quantum sets a new and dynamic standard for classification and identification technology in the vehicle detection industry: Automatic Vehicle Detection accuracy of 99.96% and Axle Classification Accuracy of 99.9% in all traffic conditions. Learn more. Drivers in the UK will no longer pay a toll to cross the M4 and M48 Severn bridges between England and Wales. A toll has been in place at the crossing since Roman times. Report: Congestion pricing would help Mass. A new report on the future of transportation in Massachusetts suggested that congestion pricing could be a valuable tool for reducing traffic in cities. Massachusetts Gov. Charlie Baker already vetoed a bill that would have tested congestion pricing earlier in the year, but after the report was released, the governor said he was "willing to hear" more. Supporters and critics of a proposed 14-mile extension of the 836/Dolphin Expressway squared off last week at a public hearing held by the Miami-Dade Expressway Authority. Tolls would be used to fund the $1 billion project aimed at reducing congestion, but many are concerned about the environmental impact. Some restaurant experts believe "dynamic pricing" is coming to the industry, where higher prices are offered when demand increases. Much like Uber and Lyft operate, prices would increase or decrease based on the demand for reservations. A wreck last week on a non-tolled bridge over the Ohio River between Indiana and Kentucky caused drivers to be rerouted to a tolled bridge. The Kentucky-Indiana Joint Board agreed recently that drivers can request a refund when they are forced to cross a tolled bridge due to an accident or emergency. Toll charges to cross the Confederation Bridge in Canada are set to increase in 2019. The Canadian government allows Strait Crossing Bridge Ltd., which manages the bridge, to raise tolls each year to account for inflation. Washington Gov. Jay Inslee's proposed budget includes $17.5 million to reopen a project office dedicated to replacing the Interstate 5 Bridge between Oregon and Washington. The document instructed staff to assume the project will be tolled and include light rail, issues that killed negotiations on the project five years ago. Please watch this short video message from Pat as he summarizes the previous week's actions to drive tolling forward. Share your knowledge and expertise as the IBTTA Summit on Finance & Policy begins to take shape. Focusing on both macro and micro issues, the Summit will appeal to financial professionals, policymakers and practitioners at the federal, state and local levels. How do you consider and manage all the different funding options to advance vitally needed transportation improvements? How do you harmonize the different regional transportation providers that include state DOTs, toll authorities, transit providers, etc.? How do you keep your rating agencies and investors on board when you introduce new technologies and business practices? What are your objectives: congestion pricing or revenue maximization? We will address these topics and more at the Summit in Philadelphia from May 19 to 21, 2019. The deadline for submissions is Monday, Jan. 7, 2019. Submit your presentation ideas today!